buchhandel.de is the joint marketplace of the local book trade on the Internet. 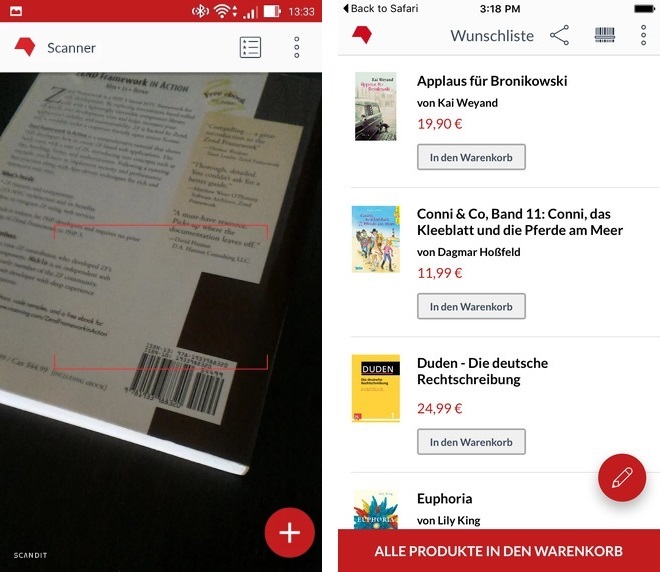 The newly developed buchhandel.de app complements the online platform with additional functions: books can be scanned via QR or EAN code and stored in a synchronized list. This allows you to capture books that you see in passing but do not want to order immediately. The app does not require a permanent online access. Once recorded, the titles can be easily ordered with a simple click on buchhandel.de. ilscipio was involved in the overall implementation and developed a central interface for exchanging book information, synchronizing book lists and securely exchanging login data.